Summer is here, and so are the pests! The warmer weather has lured mosquitoes, ants, mice and other insects out of their winter hiding and back into your yard and even your home. Don’t let pests spoil your fun this summer! Follow these pest control and mosquito control tips to keep the pests away from your home. Mosquitoes are a particularly annoying summer pest. Fortunately, there are certain mosquito control strategies you can follow to lower the populations near your home. 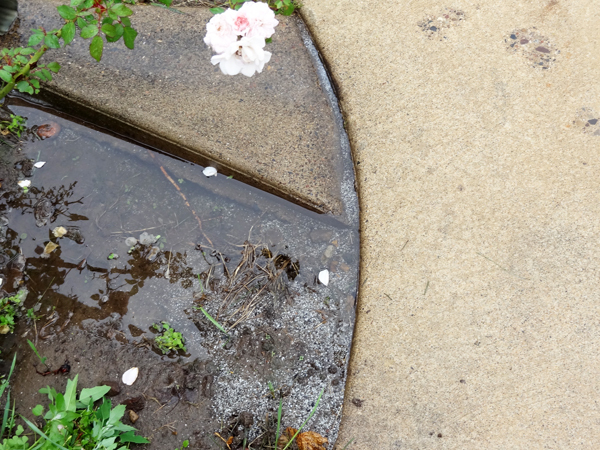 One of the most important starting points for mosquito control is to eliminate any standing water from your yard. Mosquitoes breed in standing water, so anything that collects rainwater is problematic. Explore your yard and store or dispose of anything that doesn’t need to be out, including cans, tires, and other water-collecting items. For necessary items like recycle and garbage containers, you can tip them over when not in use and drill holes in the bottom so water can flow out naturally instead of pooling up. Some standing water in your yard is purposeful in nature, such as pools and ponds. The good news is you don’t have to get rid of these things as long as you follow the right treatments. Pools should be cleaned regularly and well-chlorinated to keep mosquitoes away. Mosquito control solutions for ponds include aerating decorative ponds to keep the water moving, and for standing water ponds you can add in fish like goldfish, guppies, and koi that eat mosquito larvae. For mosquito control purposes, it is also important that you keep up your landscaping. When the temperatures are up and the sun is beating down, mosquitoes will seek shelter in hedges, bushes, and tall grass. Keep foliage trimmed and the grass mown in order to limit their hiding places. The tips listed above will help lower the mosquito populations in your yard, but to really rid your home of mosquitoes, you’ll want an effective mosquito control system for your backyard. We’re seeing great improvement in the mosquito control systems available today. For example, Barefoot Mosquito Control System uses an organic, natural solution (not harmful pesticides) that does not require expensive equipment purchases and can eliminate 90 percent or more of the mosquitoes from your backyard. With mosquitoes taken care of, it’s now time to deal with the other pests that you may encounter this summer. Here are some great pest control solutions to try. First, you will want to make sure pests don’t have a way to get into your home. Walk around your home’s exterior, examining the windows and doors for cracks that need filling and screens that need to be replaced. While outside, you’ll also want to get rid of any leftover firewood or debris that may be lying next to your house. These structures can provide homes for bees and wasps, and they also lure pests such as wood-boring beetles and termites. 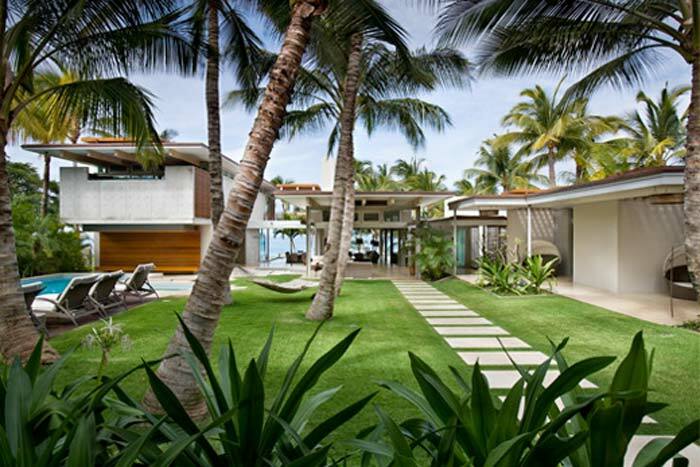 People like to lay mulch and plant vegetation around their home’s exterior to spruce up the outside. However, these choices also bring pests and insects closer to your home. A variety of insects love to nest in mulch, sweet flowers draw bees and other insects, and trees and shrubs can act as a bridge for pests to move from the plants to your home. Experts say it is wise to have a clear plant-free zone next to your home’s exterior – a little buffer space that will help with pest control. The basement is a great hiding place for a number of pests that enjoy cool and moist environments, such as silverfish, centipedes, and other insects. A dehumidifier will take the excess moisture out of the air to make your basement less attractive to pests. It’s also important not to give pests reasons to want to come inside your home – or hiding places once they do get inside. Cleaning the kitchen is an important pest control tip that will eliminate the food and smells that attract pests. In addition to cleaning cabinets, countertops, and floors, you should also store food in air-tight containers. Other areas of your home may need some decluttering. The problem is that pests like spiders and silverfish will create nests in cluttered spaces, and mice will eat away at cardboard to create beds. Store your items in plastic totes that have tight lids and keep your spaces organized. Summer has come and brought along with it warmer temperatures, green grass, and unfortunately, pests. This summer you can enjoy being outdoors at your home by following these effective mosquito control and pest control tips. Good advice to get rid of debris. Wood piled around your house is never a great look and it’s even worse when you have pests hanging around. Thanks for your input Drew.